Clamshell boxes (sometimes known as Solander cases) are book-form cases traditionally used to store precious books, manuscripts, maps, and are often used by archivists and libraries. Our clamshell boxes provide a stunning display element for your albums and books, and also protect their contents from dirt, dust, and light. We make them in all of our cloth colors, and you can order them with or without a personalized letterpress printed plaque. Our slipcases are five-sided boxes into which you can "slip" your album or book. 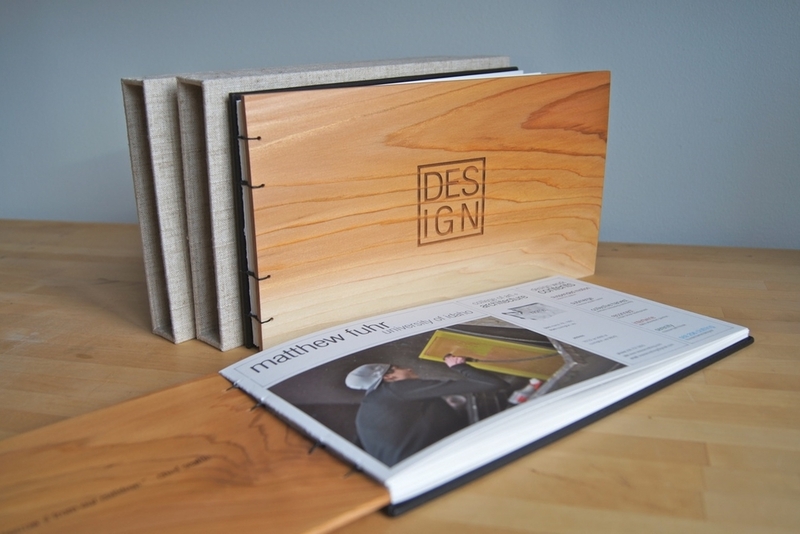 They add a valuable layer of protection against dirt and dust, and can coordinate nicely with your book's design. 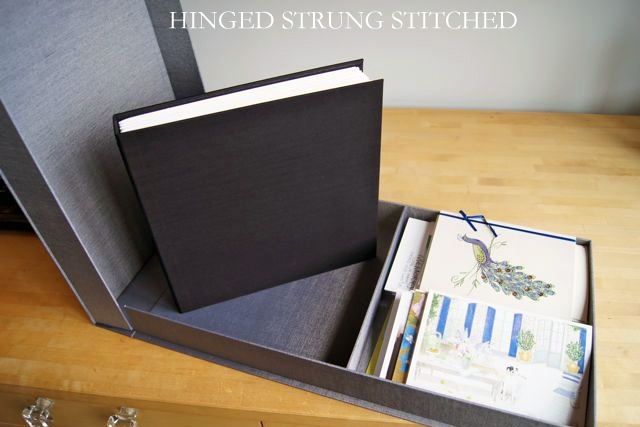 Our slipcases come in five sizes, all the same cloth colors as our albums and books, and can be ordered with or without a personalized plaque.